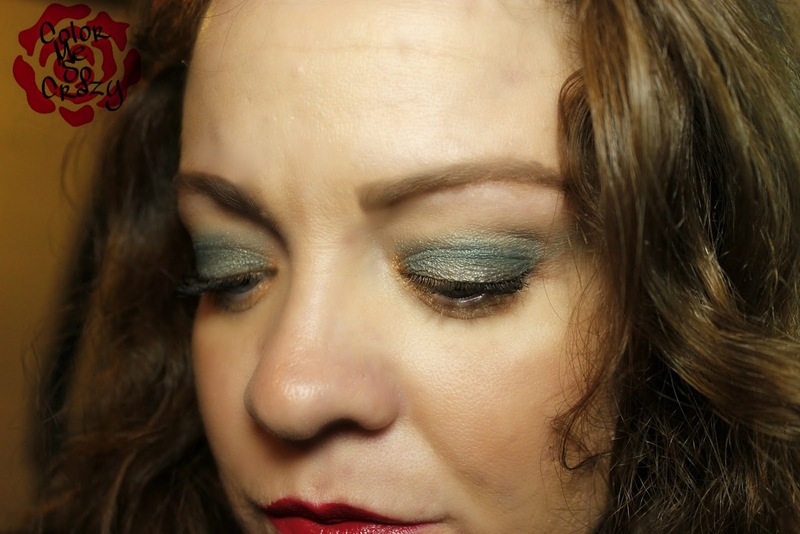 Today, I am showing off a super fun and simple look for L'Oreal that features a blue-green eyeshadow and one of my favorite colors from the Infallible Pro Matte Gloss collection. This is a super easy look and all you need is a good blending brush. I was originally going for a retro look with the color combination that I am using BUT I think it doubles as an every day look, too. I am obsessed with the formula of all of these products. In addition to the formula, which I will talk about below, the pigments are just awesome. You can find just about any color that you love in any of the L'Oreal collections. The Voluminous Superstar Red Carpet Black Mascara is a dual ended mascara that has a primer and color in one. The primer builds volume and gives you a nice base to build color, too. 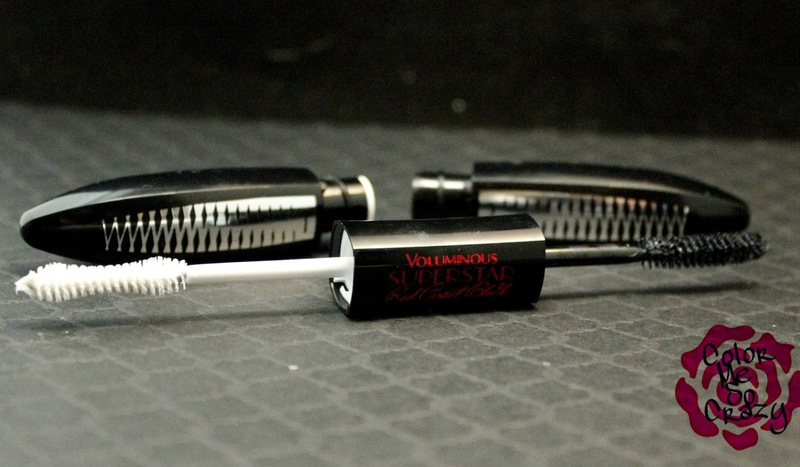 The ultra black, sleek color on step 2 extends your lashes to the furthest length possible. I also like the wand shape on both sides. The primer is am hourglass shape and the color side is a curved, moon shape. It helps pull your lashes out and extend their length. You can buy this at just about any grocery, pharmacy or Target in your area for only about $10.99. Up next is the Colour Riche Eyeshadow in the shade Teal Couture. 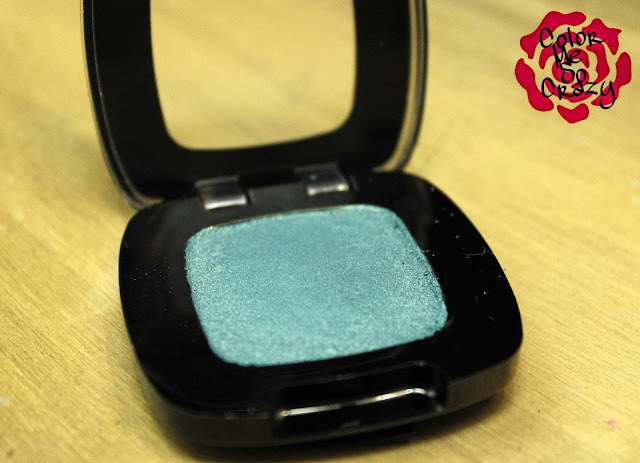 This shade is a shimmery blue-green shade- teal to be exact. It almost reminds me of an algae color. I love this shade and I am kind of surprised that I am loving it so much. I try to avoid any colors that come close to my eye color (blue) just because I don't want it all to blend together BUT I am loving this color with my eyes. 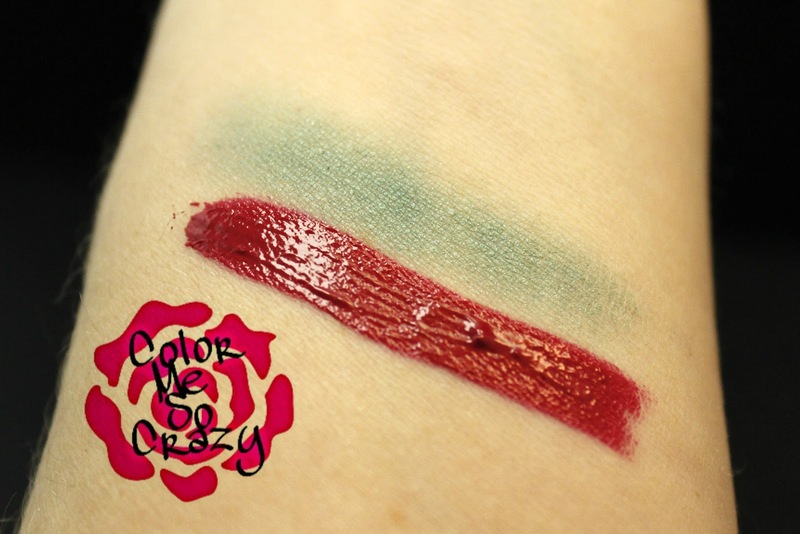 The formula is very creamy and it blends like a dream. I love the shimmer and I love how it can easily double as a liner with a little dab of water or an angled precision brush. You can pick these up for $5.99 each. 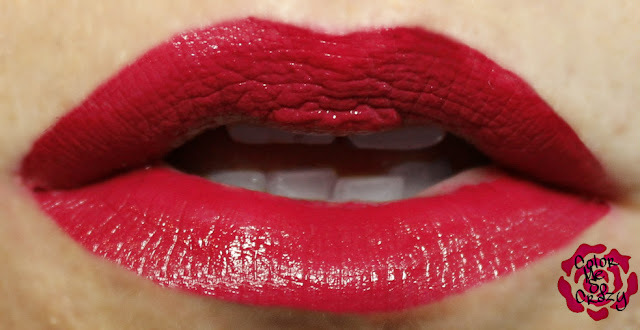 Rouge Envy is one of the colors from the Infallible Pro Matte Gloss collection. There are actually 10 colors in this collection. 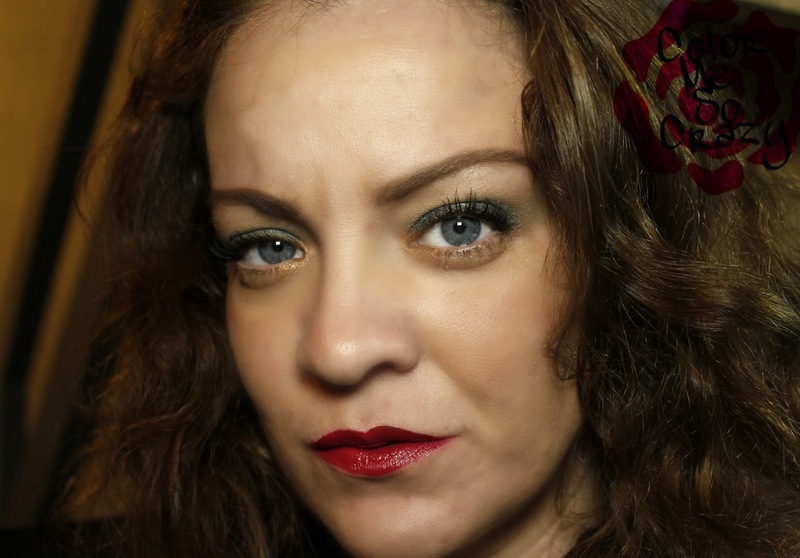 I will be showing off 5 of them later on and I featured Shanghai Scarlet last Tuesday. 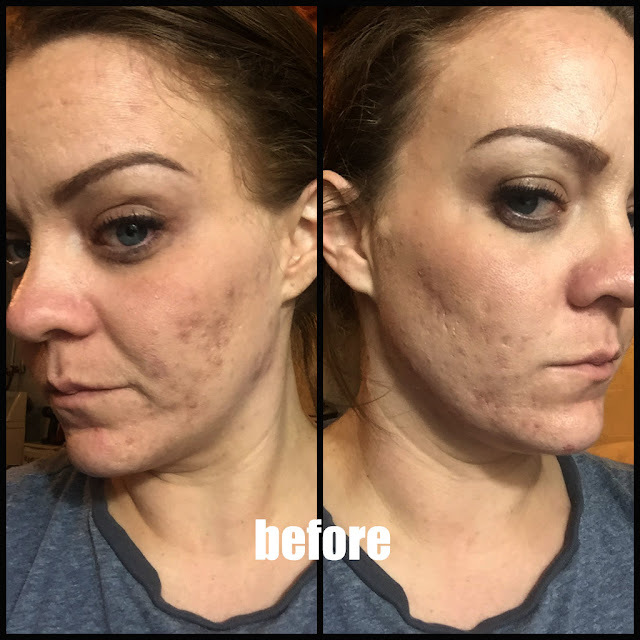 This formula is very rich and creamy and it literally stays all day! I have applied these at 8am and still had color on (after breakfast, tea time and lunch) at 2pm. It is not sticky and stays in place. 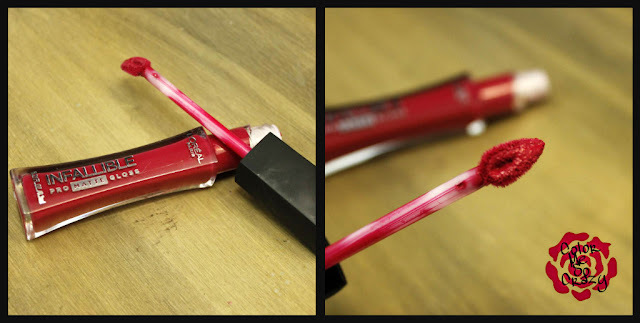 It applies super glossy and then it does dry matte. Don't worry, I panicked at first, too. You can pick these up for $9.99 each. 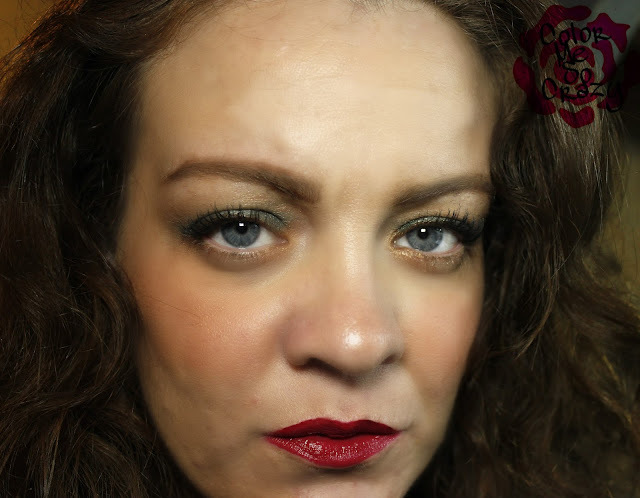 What do you think of this look? Are these colors something you would use? Do you own any of these L'Oreal products?